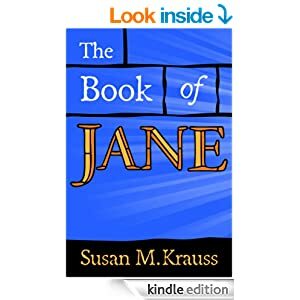 THE BOOK OF JANE by Susan M. Krauss will be discounted to $1.99 (regular price $3.99) from Friday, March 28, to Friday, April 11, 2014. Jane Barrett decides to pen her memoir after a college professor tells her she has had an interesting life, perhaps more tumultuous than interesting. Over a thirty-year period, Jane has to navigate many obstacles, including the demise of her marriage, the death of a child, and a physical assault. The most difficult conflict she faces is with herself; always self-conscious, her quest for happiness must include overcoming her insecurities. Her memoir is sometimes humorous but always painfully honest. The kind of character you think of long after you’ve finished her story, Jane seems an “everywoman” on the outside, but her strength and spirit make her–and her story–special.